Alcyone Hotel Residences is nestled in Portside Wharf, a vibrant precinct with a multitude of shopping, leisure and dining options. It features luxurious self-contained apartments which makes it ideal for short and long term stays. Eat Street Northshore is an absolute must do! 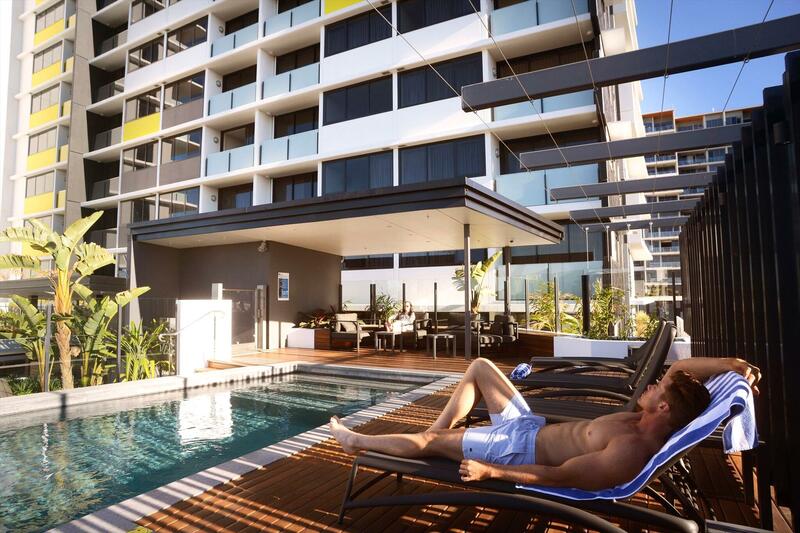 Alcyone Hotel Residences is located in the heart of Brisbane’s most sought-after precinct, Portside Wharf. It’s only footsteps from award winning restaurants, fashion boutiques and nightlife options. This aparthotel features 105 luxurious self-contained apartments which vary from 1 to 2 bedrooms. With spacious layouts, oversized windows and premium design touches, the Alcyone Hotel Residences is designed for travellers who are looking for the comforts of home with the amenities of a hotel. 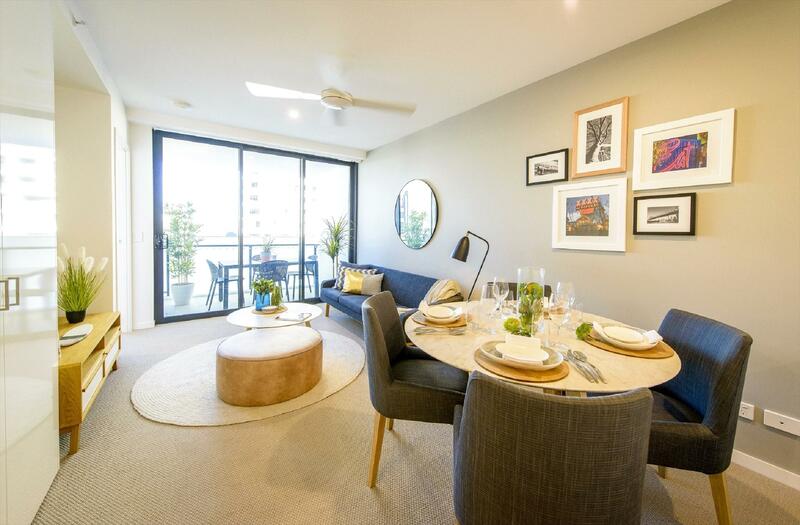 All apartments include a fully equipped kitchen, laundry facilities and an open plan living area. 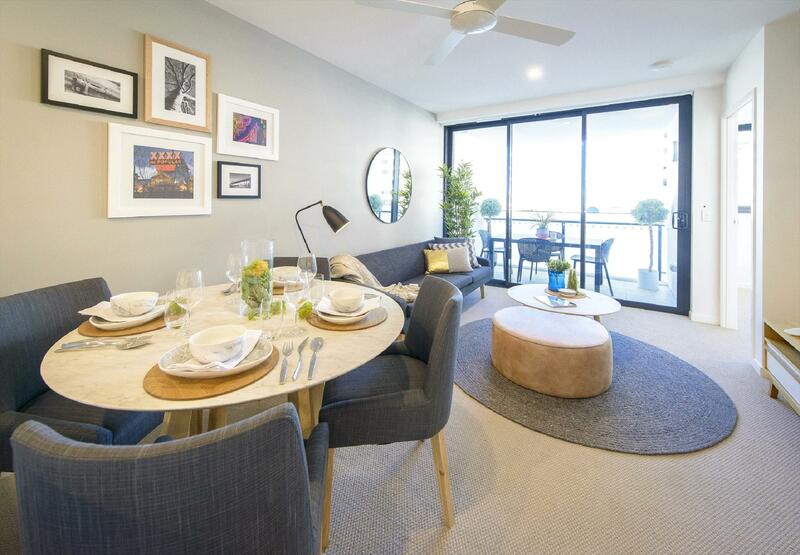 Select apartments also feature stunning views of the Brisbane River. The facilities at Alcyone Hotel Residences include 24/7 custom menu in-room dining, gymnasium, outdoor swimming pool, complimentary wifi and parking. Other extras include Leif amenities, Foxtel, business facilities and dry cleaning services. The Alcyone Hotel Residences location and facilities makes it ideal for short and long term stays. 4 minute walk from the Brisbane Cruise Terminal. 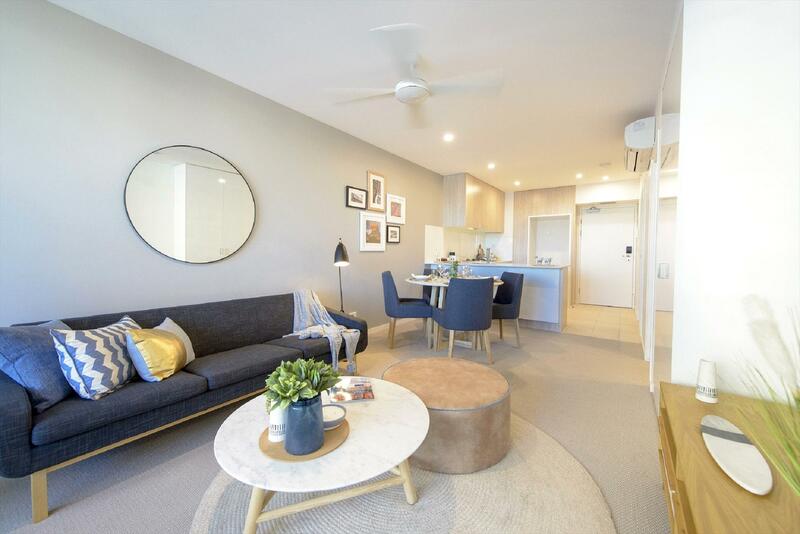 15 minute drive from Queen Street Mall and Brisbane Airport. If a booking is cancelled, any non-refundable deposit or payment which you have paid will not be refunded and additional cancellation charges may apply. If you cancel your booking up to 14 days prior to your scheduled check-in time: a $25 cancellation fee will be deducted from any monies which you have already paid. Within 14 days but up to 24 hours of your scheduled check in time: a $50 cancellation fee will be deducted from any monies which you have already paid. Within 24 hours of your scheduled check-in time: a 100% cancellation fee will apply and you will be required to pay Alcyone the full amount of your booking less any amount which you have already paid. If you do not show up for your booking or terminate your booking early after you have checked in you will be charged a 100% cancellation fee and will be required to pay to Alcyone the full amount of your booking less any amount which you have already paid. Please note, conditions do vary for peak season and long stay bookings. 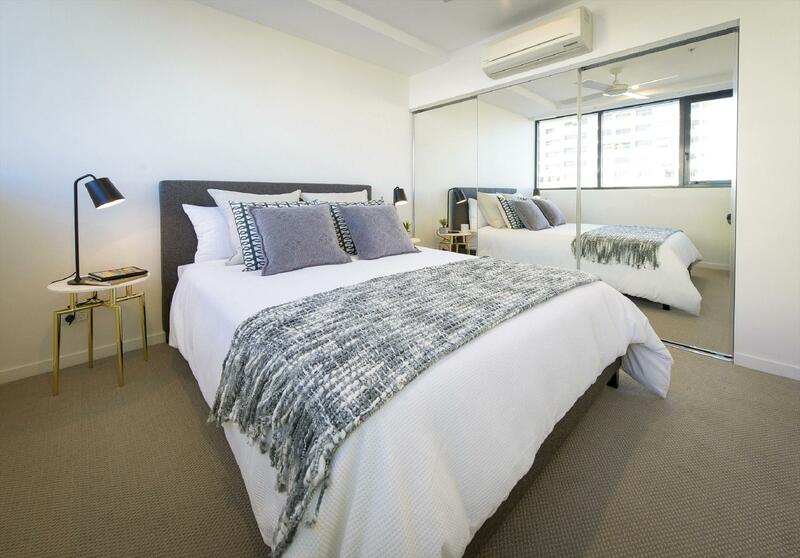 Fully air conditioned apartment with natural lighting, stone benchtops, with premium tiling and carpet throughout. Full kitchen including dishwasher. Washing machine, dryer and bathrooms with shower and designer tapware. Bedding configuration King Bed. Unlock your very special Summer Savings for your weekend escape! Enjoy overnight accommodation, free WiFi, Complimentary Car Parking, Late Check Out with Pizza and Summer Splice ice-creams upon arrival! PLUS Free Tickets to Eat Street Markets, Dendy Cinema Tickets and discounts at selected restaurants and retail outlets at Portside Wharf.